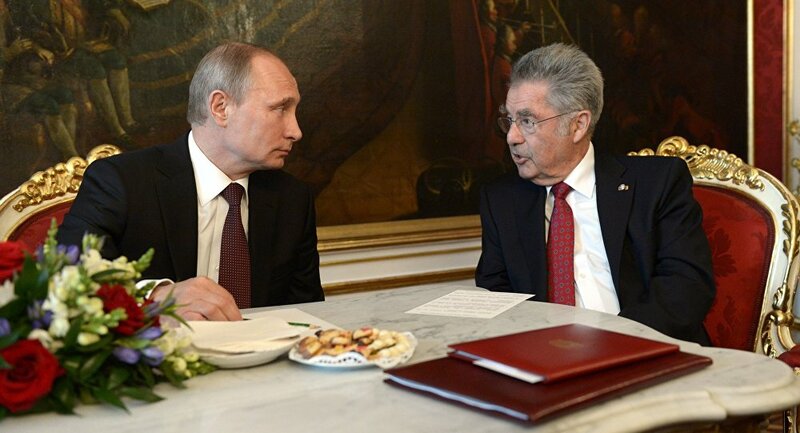 No side wins from the sanctions introduced by the European Union against Russia, it is necessary to find a way that would lead to the removal of most of them, Austrian President Heinz Fischer said Wednesday. MOSCOW (Sputnik) — Fischer arrived on an official two-day visit to Moscow on Tuesday at Russian President Vladimir Putin’s invitation. "I always, anywhere, frankly tell that the sanctions are something that is disadvantageous for both parties," the Austrian leader said at a meeting with Sergei Naryshkin, the speaker of Russia's lower house of parliament. He added that at the same time Austria remains a "loyal member of the European Union." "Our position in these [EU] discussions [on anti-Russia sanctions] includes that it is necessary to consider all the possibilities of relationship development between Russia and the European Union. The most important part is that it is necessary to find such a path, a common way for all of us, to develop it, which would result in the soon removal of most of the sanctions,” Fisher pointed out. Relations between Russia and the European Union member states, including Austria, went downhill in 2014, when Brussels joined Washington in accusing Moscow of fueling the Ukrainian crisis and imposed several rounds of sanctions as a punitive measure. The Russian authorities have refuted the allegations, warning that the Western sanctions are counterproductive. In response to the Western restrictive measures, in August 2014, Russia announced a one-year food embargo on some products originating in states that imposed sanctions against it. The ban has since been extended for another year.